CAD MicroSolutions Inc., a leading provider of mechatronics solutions in Canada, announced today that it will add support for commercial sales and distribution of the industry-leading HP Jet Fusion 3D 3200 and 4200 printers across Canada. HP’s 3D printing solutions are a fitting addition to CAD MicroSolutions’ existing line of mechatronics design tools and 3D printing solutions, reinventing the way organizations design, prototype and produce functional end-use parts, faster and more cost effectively than ever before. The precedent-setting HP Multi Jet Fusion 3D printing technology behind HP’s Jet Fusion 3D printing solutions drive the additive manufacturing market for production-ready industrial applications in terms of performance, cost and reliability. The Canadian manufacturing industry is at the cusp of a technological revolution according to the Manufacturers’ Outlook 2017, requiring manufacturers to be agile, innovative, and make informed investments to remain competitive in an exponentially growing market. Investing in advanced technologies will allow manufacturers to leverage strategic growth opportunities through research and development, and increase the efficiency of new product development. HP’s Jet Fusion 3D printers reinvent the manufacturing industry, enabling organizations to move rapidly from thoughts to things through fast, high quality and low-cost prototyping and production. CAD MicroSolutions will provide consultation, sales and support for the HP Jet Fusion 3D 3200 and 4200 across Canada, and will host events and webinars to demonstrate these printing solutions throughout Canada starting immediately. These events will showcase the HP Jet Fusion 3D printing solutions and the technology behind it, along with the range of mechatronics tools CAD MicroSolutions carries, including the full SOLIDWORKS design suite, Nano Dimension’s PCB 3D printer The DragonFly 2020, and Markforged 3D printing solutions. CAD MicroSolutions will host booth #1043 at the Canadian Manufacturing Technology Show from September 25-18, 2017, and will also be hosting several 2018 Launch Events around Ontario throughout October. CAD MicroSolutions, headquartered in Toronto, Ontario, has been providing engineers, designers and manufacturers with 3D technology and training for the entire product development lifecycle for over 30 years. CAD MicroSolutions is uniquely positioned to help their clients enable innovation across Canada, selling and supporting 3D printing solutions as well as design automation software, training and consultation to help clients in mechatronics innovate, design and succeed. 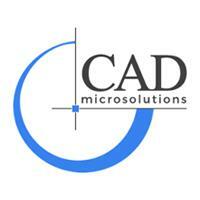 For more information about CAD MicroSolutions, please visit www.cadmicro.com or call 1-888-401-5885. For further information please contact Darren Gornall, dgornall@cadmicro.com, (416) 213-0533.